Last Wednesday I had the opportunity to spend the day with my new twitter friend, Lindsey Own, in her school in Seattle, Washington. 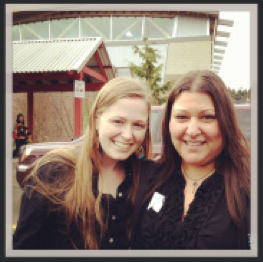 Lindsey and I met on twitter a little while ago and had chatted a bit about Genius Hour. She told me that she loves visiting other schools and asked if she could come up to mine during her Spring Break. Of course I said yes, and told her how much I loved visiting other schools as well. And so I asked if I could visit hers during my Spring Break (thank goodness we have different breaks so we could make this happen). If you haven’t done this before, you need to try it! It is a wonderful opportunity! You learn so much just by observing and chatting with a different set of teachers. I have been lucky enough to have been able to visit other classrooms several times over the years. Click here to read the rest of this blog post. This entry was posted in Professional Development and tagged gallit zvi, georges vanier elementary, learning, lindsey own, professional development, surrey, teaching. Bookmark the permalink.